The finding that a lead researcher falsified data in a widely heralded stem-cell research paper is a setback for Japan’s efforts to promote its advanced research, but also a symptom of the pressure for breakthroughs in the field, experts say. The government-funded Riken Center for Developmental Biology in Kobe said Tuesday it had found malpractice by scientist Haruko Obokata in the work on using a simple lab procedure to grow tissue for treating illnesses such as diabetes and Parkinson’s disease. 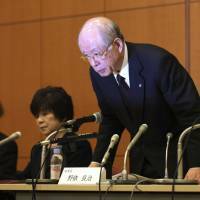 Obokata disputed the allegations, saying in a statement issued by Riken that she plans to appeal the findings issued by a committee set up to investigate discrepancies in the research published in January in the scientific journal Nature. Nature has refused to comment on whether the article might be retracted but said it is conducting its own evaluation and considering Riken’s findings. 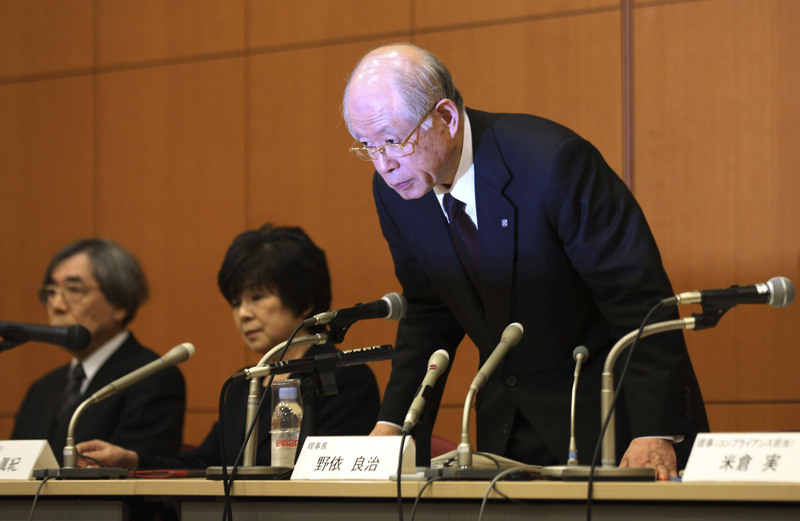 While Obokata alone was blamed for manipulating images of DNA fragments used in the research, Riken President Ryoji Noyori held her co-authors “gravely responsible” for negligence in failing to fully verify their findings. The developments at Riken are a setback for government efforts to market Japan’s research and development expertise as a 21st century industry needed to revitalize the country’s manufacturing. Arthur Caplan, an expert on bioethics at New York University Langone Medical Center, said the doubts about the research are a “devastating blow” for Japanese science. “The government has invested in cutting edge bioscience to promote Japan’s economy, so the revelation of fraud and misconduct at a major institute is both an embarrassment for the government and a huge setback for the Japanese research community,” he said. Noyori said that after allowing for an appeal, disciplinary action would be taken, including calling for retraction of the suspect paper. Data she recorded also was fragmented and incomplete, he said. Obokata said some of the images were chosen by mistake. The institute said it would take months more to determine whether the stem cell findings are valid regardless of any questions about the data. Obokata asserts the findings are genuine. Noyori warned against any “personal attacks or violations of human rights of the authors,” vowing to revamp the ethical standards, training and procedures at Riken, a prestigious institution founded in 1917 by Eiichi Shibusawa, a leading Japanese industrialist. “Research misconduct occurred due to a young researcher’s lack of experience and awareness of the importance of research ethics,” Noyori said.